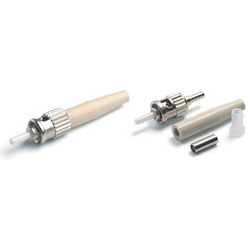 The st connector provides a reliable and validated connection for the transfer of sterile fluids. One of many single-use bio processing solutions, it is designed to connect steamable hard-piped processing systems to sterilized disposable flow paths. The st connector is available in a wide range of sizes and configurations, from sampling to intermediate additions to bulk liquid transfer into and out of the bio reactor. From 2002, we are trading and supplying an exclusive array of Telecom, LAN and Fiber Optics products This range comprises passive products such as Keystone jack, Lan cables, Raiser Cables, Telecom MDF Pair Boxes, Fiberoptic patch Cord, Fiber Optic Connector. Our brand "Plutech" continues to adapt and innovate newer products to continue sharing the wonderful relationship with its vendors and customers. You can trust Plutech to keep you abreast with the latest technological products for many years to come. We procure our products from reliable market vendors and also focus on various promotional activities to enhance the reach of our range. In addition, we deliver our products on-time with the help of wide distribution network. Further, we develop various policies and strategies to retain our reputed stature and fulfill the emerging needs of the clients. Moreover, we maintain transparency in the business and make sure to attain complete satisfaction of the clients. We have a prime retail space at Lamington road (the electronic hub of Bombay) and display capabilities to satiate every need of our customers. Our enviable base of dealers / OEM's / walk-in retail customers (to the tune of over 100 customers a day); coupled with an even more enviable base of in-house technical consultants and engineers, we always have Total Connectivity Solutions for every valued customer. We promise quick turnaround times for customers with custom Cable, Wire Harness and Cable Assembly designs.